The New York Times identifies Koch as "a billionaire industrialist who made his fortune in fossil fuels." Could Koch influence the many other people such as fishermen or the local Native American tribe who came to believe Cape Wind was problematic? How many of these people want to breathe coal smoke everyday? How many wish Cape Cod beaches were covered by the ooze of an oil spill, or hope to completely lose their homes & communities to rising seas or horror storms from global warming? 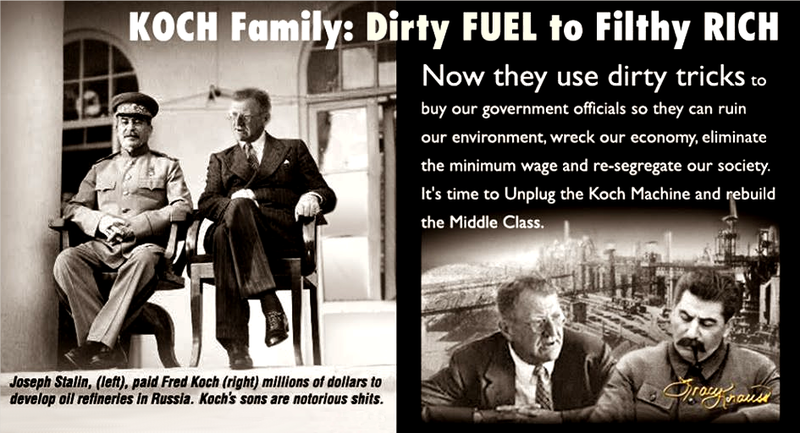 Not a single person wants such suffering from any Koch industries.